Weighing in on the Sixth Method for Berlin based record label Ancient Methods; Ugandan Methods unleash three more breezeblocks of sound. 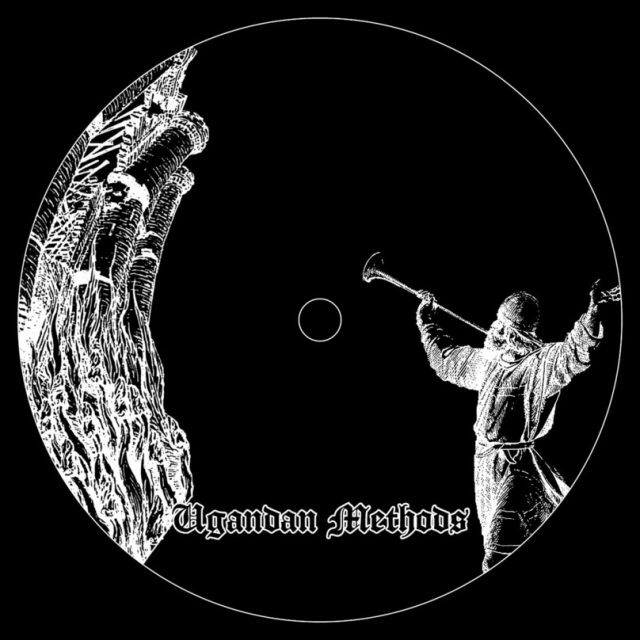 At the helm for the Sixth Method stand the collaborative recording project between techno’s producer messiah Regis and AM label owners, Beeks and Trias; the production force that comprise Ancient Methods. If you’re unfamilar with the industrial bold machinations of the German duo; I’m assuming you’re well versed with the sonic signature of Karl O’Conner as an artist in his own right, with Surgeon as British Murder Boys (BMB) or his most recent work with the Sandwell District collective; then get to know. Continuing in some ways that hard and dark Birmingham techno sound so well displayed and ravaged by the aforementioned Regis, principally with BMB, but taking things slower, deeper, and well yes, German. Yet still hard, thunderously hard if you’ve ever witnessed their live PA. When I first played the sound of AM to my partner, she immediately said ‘these guys are German aren’t they’, and it’s undeniably true that their music though raw, primal, and laced with industrial dirt has that efficient focus and attention to detail deep within the programming that the best German producers excel at. They release very selectively and to the tune of their own drum and have been since 2007. Yet they remain very low-key and one of those artists that if you’ve heard of them you love, otherwise you’re none the wiser. Working with Regis (under his Ugandan Speed Trials guise) as Ugandan Methods just makes cold, logical sense. For their Sixth Method they deliver perhaps the most accessible of their Method series yet. A Side Beneath The Black Arch presents a clattering of delaying metallic fragments, a quite undeniable stomp and that heavy synth signal wave that would be quite at home in the work of Raster-Noton’s Byetone or Alva Noto. So in that respect it’s more accessible. First on the flip Between A Sleep & A Sleep is a lighter in weight piece that locks you into its hum and loop and there you remain lost in it. She Belongs To Eternity is a piece of fierce noise brutality. Nightmares, skull crushing kicks and enough distortion to push the most hardy of sound systems to their limits. Fan-bloody-tastic. Available on vinyl at the moment, with digital to follow eventually (the previous five methods being available digitally at Zero-Inch and Boomkat we can safely assume number six will surface soon). You can witness the full might of Ancient Methods on Feb 24th in Glasgow at La Cheetah. And if you’re in the mood for Regis he’s performing at House of God’s 19th Birthday the day after, on the 25th.